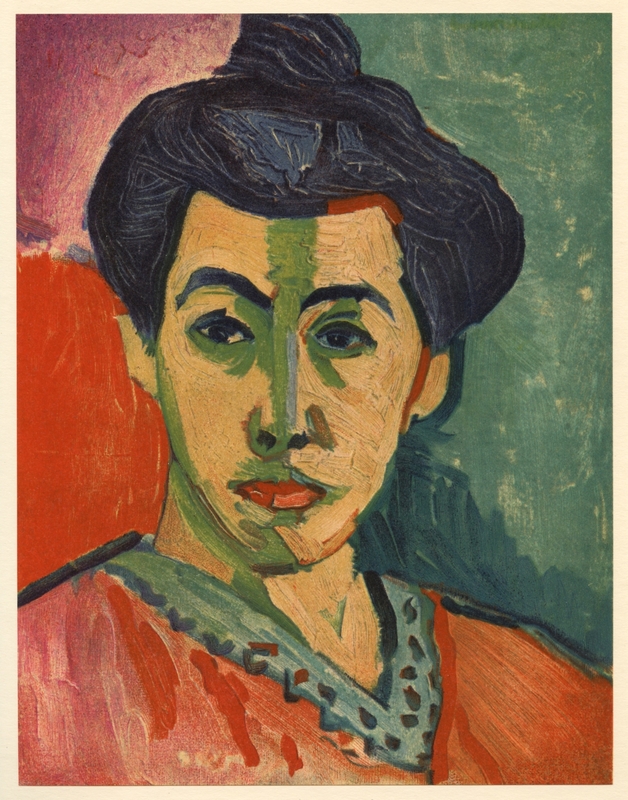 Henri Matisse lithograph "Portrait with the Green Streak"
Medium: lithograph (after the painting). Printed in Paris on smooth wove paper at the atelier Mourlot and published in 1954. Size: 9 x 7 inches. Not signed. Condition: this lithograph was attached by the publisher (along the top edge) onto a larger support sheet.